Gracie's journey continues. This children's story relays how Gracie, the One Great Hour of Sharing fish, and her undersea friends come together to pray and seek answers about God's plan after a disaster affects their homes. 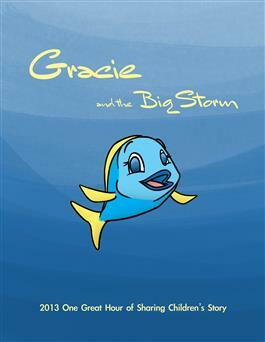 Gracie and the Big Storm, by Dr. Kathy L. Dawson, is the first edition available as a printed soft-cover children's book.